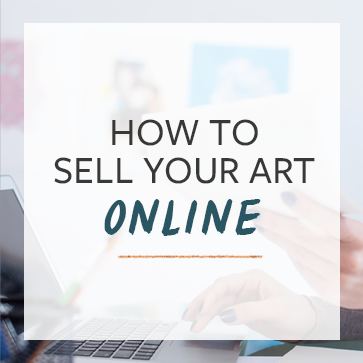 This is the first in a series of articles on how to use Google Adwords to sell art online. These “Sponsored Links” are the results of Google allowing people who sell products to pay for the privilege of advertising on Google. Advertisers bid on those spots on each individual search via an automated process. Advertisers have the privilege of showing up on Google searches when people are looking for the kinds of products they sell, and then advertisers pay Google each time their ad is clicked. You can set a monthly budget broken down into daily limits, and you can set it at whatever amount is comfortable to you, anywhere from a few dollars a day to (in the case of very large companies) millions of dollars per month. The thing that has made Google Adwords truly powerful is that it scales well for nearly all advertisers. If you know what you’re doing with the Adwords bidding system then you can figure out which products are very cheap to advertise – and here’s a hint: art is cheap on Adwords. Where real estate might fetch $5, $10, or $15 per click, oil paintings, sculptures, handmade jewelry, and other art is usually less than $1. You can be extremely specific. No matter how much you might think that no one is searching for handmade glass earrings – but Google tells me that, on average, about 90 people search for that exact phrase. If you’re a jewelry maker who specializes in glass, that’s a huge opportunity for you. Adwords is a great way to drive highly targeted traffic to your website. Before you can take advantage of Adwords, you need to have a great website that clearly displays your art and allows people to purchase your work through your site. In addition, while you can advertise very cheaply on Adwords, it’s also easy to overspend or to spend ineffectively, thus wasting money. Make sure that you learn how the system works before you spend more than a few dollars. I am going to spend a couple of posts explaining how artists can fully take advantage of Adwords. In the mean time, visit Adwords.Google.com and you can set up an account. They don’t require any sort of minimum budget, so you can go in and play around and learn how it works without making a huge money commitment. In the next post I talk about how to do artist keyword research within Adwords. Have any of you tried Adwords before? What kind of results did you get?